The rapper was referencing, of course, Maher’s use of the n-word while interviewing Sen. Ben Sasse of Nebraska on last week’s show. Cube was there to promote the release of his album “Death Certificate” for its 25th anniversary and also to talk about Maher’s transgression. Maher replied, “Against racists.” But Cube wasn’t in total agreement. “Sometimes you sound like a redneck trucker,” Cube said, generating laughter in the audience. 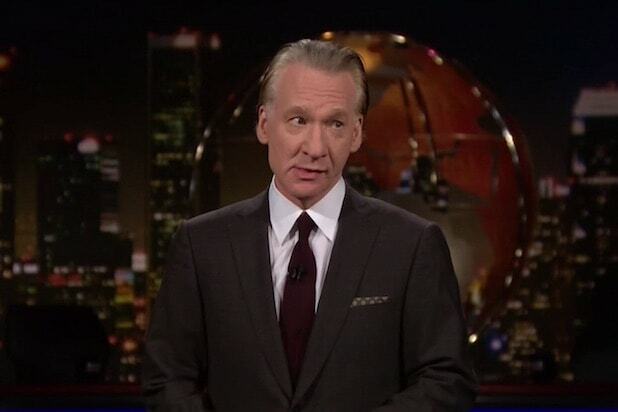 He accepted Maher’s apology, but dug deeper into the meaning of the slur. “It’s like a knife,” he said. “You can use it as a weapon, or you can use it as a tool. It’s been used as a weapon against us by white people, and we’re not going to let that happen again. By nobody because it’s not cool. Now, I know you heard, it’s in the lexicon, everybody talking. But, that’s our word now, and you can’t have it back. … When I hear my homeys say it, it don’t feel like venom. When I hear a white person say it, it feels like that knife stabbing me, even if they don’t mean it.